Aloe Ferox (Latin for Wild) is a form of aloe vera which grows wild in its natural habitat, free from pesticides, herbicides and synthesized fertilisers. Our source is from a certified organic habitat. 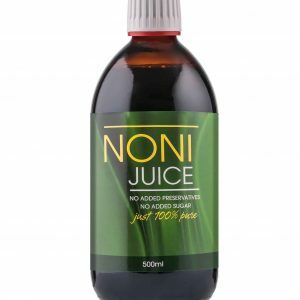 In its pure and unprocessed active form, it minimises the potential negative effects from added ingredients. Aloe Ferox juice is rich in minerals, vitamins, polysaccharides, enzymes and trace elements. It is particularly high in calcium, amino acids and vitamin E, which exceeds alternative aloe products. 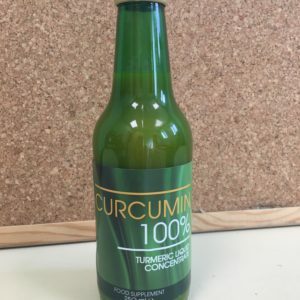 This liquid is great as an everyday tonic and has a wide variety of uses including first-aid and cosmetic purposes. 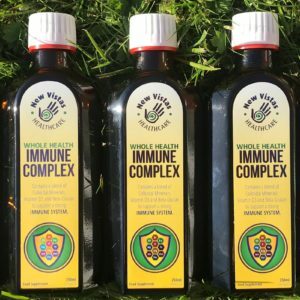 The complex polysaccharides, amino acids, minerals and other organic, active substances offer a soothing, healing effect on mucous membranes and surfaces including the lining of nose, throat, stomach, bowel and lungs. 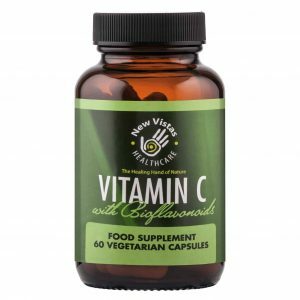 It may help relieve symptoms of heartburn, constipation, diarrhoea, indigestion and colitis. Using after injuries encourages the growth of lymph cells, which are important blood cells within the defense system. Such stimulation of germ cells of the skin and connective tissues help quicker healing of wound tissue. Aloe Ferox gel provides essential nutrition for healthier skin, as well as offering healing and anti-aging properties. After skin penetration, it stimulates cells called fibroblasts in the dermis to produce more collegen and elastin fibres. It is these fibres which give the skin better structure, making it more plump and smooth–looking. Deep penetration also increases skin regeneration ability, making it an ideal first-aid tool for burns, scars, wounds, eczema, dry and itchy skin. Long-term use of pure Aloe Ferox juice can help boost immunity because of the rich polysaccharides content. Aloe – Queen of Healing Plants. You may ask what makes Aloe Ferox superior to Aloe Vera. It has been said that Aloe Ferox is the most curative of the aloe species. It grows wild in its natural habitat, free from pesticides, herbicides and synthesized fertilisers. Our source is from a certified organic habitat. In its unadulterated and active form, it minimises the potential negative effects from added ingredients. We only use leaves from certified organic Aloe Ferox plants, guaranteeing organic from plant up to and including the bottling of the juice. Take 50-150 mls daily, preferably 30 minutes before breakfast. Liquid supplements taken on an empty stomach help promote better absorption chances. A healthy digestive tract also ensures optimal absorption of nutrients from foods. It is suggested that Aloe Ferox promotes digestion by lining the digestive tract and bowel, offering a more effective absorption rate. 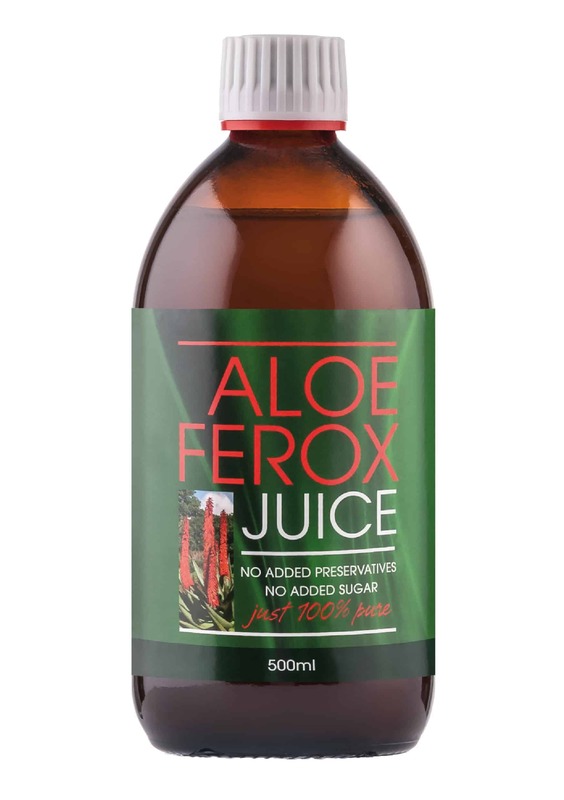 Aloe Ferox is also seen as a natural balancer, helping regulate various yeasts and bacteria which inhabit the body, thus promoting healthy gut flora. Refrigerate bottle after opening and use within one month.